This post about using images to boost your SEO was originally written back in 2012. I have revised it for 2017, with fully up-to-date information and screenshots from the latest version of WordPress. Images are an area of WordPress SEO that are often overlooked. Yet image search can be important in driving traffic to your site. People are using Google Images more and more to search for all sorts of information. Don’t miss out on this important source of traffic. In this post, I combine extensive research with my own experience of WordPress SEO. The end result is the definitive guide to making the images on your WordPress website search engine friendly. I will offer some simple tips on how to make images a central part of your WordPress SEO strategy. But search engines can’t read images! One reason that images are often overlooked in WordPress SEO – and SEO in general – is that search engines can’t actually understand them. Search engines can only read actual text on a web page. They can’t interpret pictures, or even images with text embedded in them. Fortunately, search engines do have mechanisms for understanding images. Whenever you upload an image to your website, you can tag this with ‘meta data’ that helps machines to understand the image. This includes screen readers for people with visual impairments, web browsers that cannot display images, and of course search engines. For example, an image of the WordPress logo could have alt text (a type of meta data) saying ‘WordPress logo’. This tells machines that it’s an image of the WordPress logo. You can use this as an opportunity to make your WordPress images SEO friendly. WordPress’ SEO features makes it easy to create search engine friendly images and optimise for Google Images. Title WordPress will automatically add your image filename here. You might want to change it to something more descriptive and SEO friendly. Include your main keyword for the page. Image titles are important for SEO. The title will also appear when you hover over the image. Alt Text This is also known as ‘alternative text’ or the ‘alt tag’. It should contain a brief description of the image, including your main focus keyword for the page. Caption Enter text here if you want to display a caption underneath the image. It’s generally thought that this doesn’t help with your image SEO optimisation. However, no one knows the search engine algorithms for definite. If you’re using a caption anyway, it doesn’t hurt to include the main keyword for your WordPress post or page. Description Enter a longer description of the image here. It’s thought that this isn’t a huge factor for image search, but it can help a bit. Make sure it’s descriptive as well as containing your main keywords. Link URL The end of your link URL will be the original filename of your image. So before uploading the image, it won’t hurt to make sure the filename contains the main keyword for your WordPress page or post. Size Most articles on WordPress SEO images don’t mention image size, but this is important too. Search engines reward fast loading websites and penalise slow ones with large images.WordPress helps with SEO by automatically resizing images as needed. To use this SEO feature, simply click Thumbnail, Medium or Large and WordPress will resize the image accordingly. Never click ‘Full size’ unless you have previously sized the image using software such as Photoshop.I recommended that you always size images before uploading them to WordPress. Website images should be set to the required number of pixels rather than worrying about the resolution. Before uploading an image to WordPress, you can optimise it using free software such as WPSmush. This will compress it as much as possible without losing quality. Most people don’t know that search engines also look at the context of an image. This means that as well as the image meta data, search engines look at the title and url of the WordPress page or post where the image is situated, as well as the text around the image. If these include your main keywords then search engines will know that the image is related to those keywords. When adding an image to your WordPress website, think about its overall context. For example, put relevant keywords in the text close to the image. You can read more about this in the SEOmoz blog. If the above sounds like too much work, you’ll be pleased to discover a WordPress SEO plugin that will do much of the work for you. I would always recommend manually adding titles and alt text for each image on your WordPress site. This will generally be more effective than a plugin that can do it automatically. 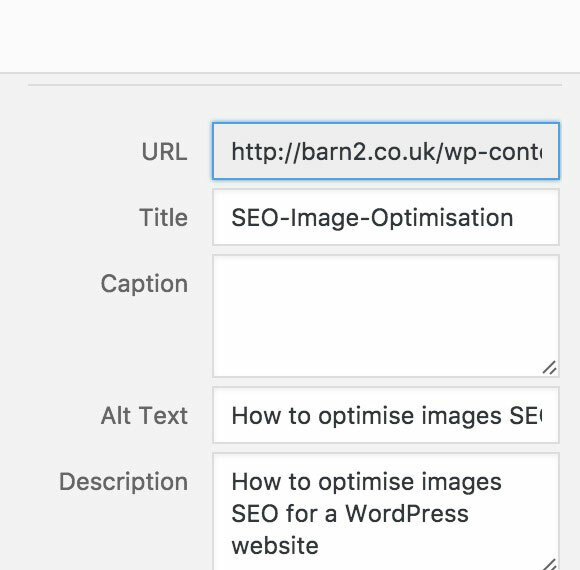 But if you really can’t be bothered – and lots of people can’t – then the WordPress SEO Friendly Images plugin covers the main points for you. It automatically uses the post title to set the image’s title and alt tag. This is useful because you should always include your main SEO keywords in the title of your WordPress post or page anyway. The plugin will use this to automatically optimise your images. But is WordPress traffic from Google image search worth having? Most articles on SEO images seem to assume that using images to drive extra traffic to your website is a good thing. While it’s obviously not a bad thing, it may not be as valuable as people suggest. The main benefit of optimising your images is that is makes them more likely to rank highly in the image search results – for example, Google images. So when people do an image search using your main keywords, an image on your site is more likely to appear. In most cases, I think this is much less important than ranking highly in the main search results for your keywords. This is because people searching for images have very different intentions to people searching for websites. For example, most people who search Google for ‘WordPress web design’ will be actively seeking a WordPress web design agency such as Barn2 Media. This is traffic we definitely want! On the other hand, people searching Google images for ‘WordPress web design’ are more likely to be looking for something different – such as images to put on their own website promoting WordPress web design. This traffic is much less important to us! If images are your core business then you should obviously spend a lot of time optimising your WordPress SEO images. This applies to photographers, graphic designers, etc. It’s also worth thinking creatively about how your customers might find your website. For example, more and more people looking to buy products online are turning to Google Images first. This lets them search in a more visual way instead of text-based results. For the majority of WordPress website owners, it’s slightly less important. You should always optimise your images for SEO because not doing so is a wasted opportunity. If you don’t have time to do it manually then use WordPress SEO Friendly Images to do it for you. But don’t get too caught up in it, as the rewards may be lower than for other types of SEO. Do images help with my WordPress website’s overall SEO and Domain Authority? Although this is a grey area, there’s evidence to suggest that optimising images can boost your website’s position in the main search results, as well as image searches. In deciding whether your website is relevant for a particular keyword, search engines look at how often the site contains those keywords, and in what way. As well as the usual SEO factors – page title, url, body text, headings etc. – image meta data can provide important clues about the content of your website. If this can help with your overall search engine ranking then this is definitely worth doing. I always recommend the Yoast tutorial as the definitive guide on WordPress SEO in general. This is a great starting point for making your WordPress website search engine friendly. If you’re not confident (or don’t have time) to do your own SEO, it’s also worth checking our our WordPress SEO services and ongoing SEO packages. I didn't realise there was such a lot of essential reading on your website! This list has been crafted considering the factors that directly influence the SEO, like page speed, social shares, optimization… Google analytics by Yoast is just a plugin which allows you to track clicks on individual links and track your overall website visitors im using two SEO plugins on my site brightverge.com one is Yoast and other is easy seo wp plugin both are working excellent… But it’s just an analytic tool and noting more. You said WP supercache works better on your server than w3 total cache, I am eager to know your server’s configuration. Thanks for your comment. We recommend W3 Total Cache if your server doesn't already have caching built-in. However our recommended WordPress web hosts are WP Engine or SiteGround. Both of these hosting companies have excellent built-in caching (you just need to activate it) so you don't need to install a WordPress caching plugin with these hosts. Google Analytics for WordPress is just an Analytics plugin, as you say - you need WordPress SEO by Yoast for their full SEO features. I agree that it's always better to visualize your point, add an image. Even if it doesn't impact SEO it makes customers be more loyal to your site. I expect a lot of updates in the future, and I welcome any feedback ! Hi Felix, thanks for letting me know about your plugin. Does your plugin allow you to optimise ALL images including featured images, gallery images etc.? A limitation of SEO Friendly Images is that it only optimises images that are added to the actual page/post content, which doesn't apply to a lot of the images on a WordPress website. If I build my blog use mydomain.wordpress.com can i upgrade the same blog later? another question is, currently I'm using blogger.com, can i take my blog to wordpress? If you use wordpress.com or blogger.com then you will need to migrate all your content to your new wordpress.org site later - it won't happen automatically. 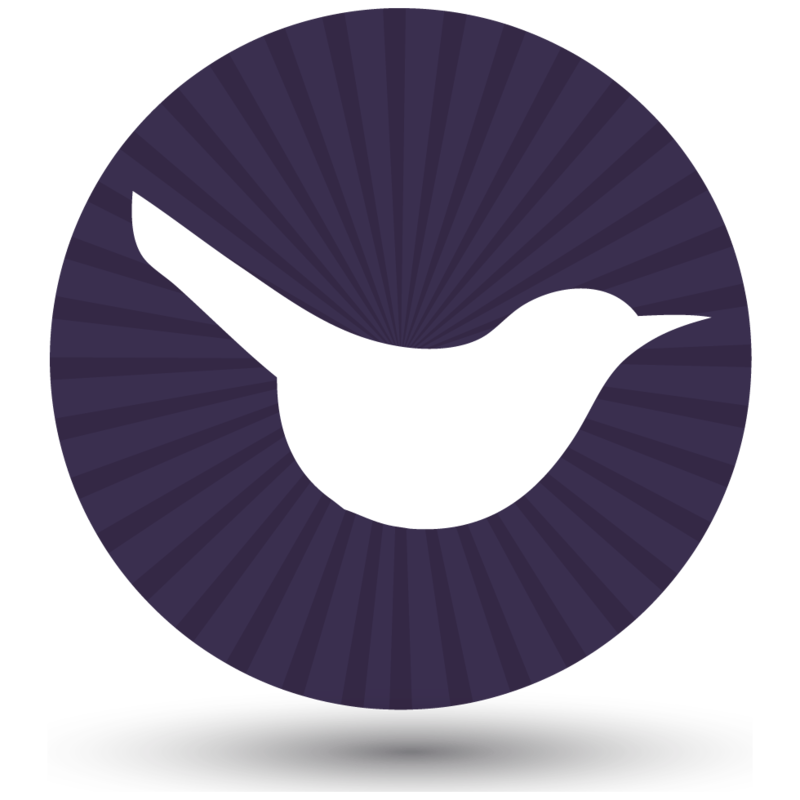 There are lots of tools for migrating blog posts and other content to WordPress. Please get in touch if you ever need any help with this. is it because of using custom field for inserting images? Hi, if you're entering an SEO-friendly title and alt text for each image then that's great and I don't think that adding them as custom fields in a problem. Are you using the keywords that your target market are actually searching for? It may be that you need to do some wider SEO work to convince search engines that your website (which includes your images) is important. Perhaps your competitors have particularly well optimised images so you need to give the search engines a reason to prioritise yours. i have only one image in each post, and alt & title tags for that image are just like the post's title ! does it make any problem for seo? If you don't add the alt and title tags for your images manually, how are they being added? e.g. I don't think the SEO Friendly Images plugin optimises images that are added via custom fields. Have you checked that your images are definitely being given alt and title tags? is it ok for seo ? to write both tags exactly like post title?